Perfect Picture Book Friday PLUS Please Vote! Happy first Friday of spring, everyone! Speaking of spring, if you have not yet had a chance to vote for your favorite finalist in the In Just Spring Contest, please go HERE – the voting is open until tomorrow – Saturday Match 23 at midnight. It’s quite a tight race, and there’s an amazing prize on the line, so pretty please vote! The In Just Spring Contest! Please read the fantastic finalist stories and vote for your favorite HERE!!! The In Just Spring Contest Finalists! – Vote For Your Favorite! Announcing The Winners Of The In Just Spring Contest!!! Thanks for reminding me to go vote, Susanna I'll go do that right away. The stories are all so wonderfully crafted it is hard and any way we can help we will. Thanks also for keeping the PPBF tradition open. I really wanted to be able to share Christopher Newport today since it was just launched last week. Whoops! Daffodils not dandiliions. I need more chocolate! lol. Happy spring! We may get snow again this weekend. We did our pre-library run before snow predictions yesterday. Also, FYI, sorry I posted my PPB link twice (Woolbur). Google is acting funny -when I refreshed the page it did not show Woolbur after an hour. And I haven't been able to comment on your site for two weeks-it tells me Disqus is running slower than normal,,,blah, blah, blah.. Anyway I came over to Firefox and it seems to me fine. Must be an issue on my end. That was tough voting, I can well imagine your exhaustion in whittling the choice down to just seven! So glad to have had the chance to take part in it – and now I have another story I really want to work on more! You are THE BEST, Susanna!!!! That was sweet of you to put up the PPBF linky, Susanna! I added a little blurb about the voting…maybe that will encourage a couple more folks to head over and read the 7 stories…I'm anxious to see which one wins…but really…they are all fantastic! I hope it'll warm up for you soon! I didn't have a perfect PB today 😦 I was to busy at school… I'll check out the others! 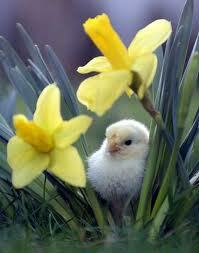 Hi Susanna happy spring. We are expriencing drought all around our city, first ever! Yay! I remembered what to do. No off to read the stories. Thanks so much, Vivian! I really appreciate it! A little over 24 hours left to vote… I wonder who will com out on top?! I'm so jealous! I want flowers! But they are predicting snow for Monday! Phyllis says spring will be here on Wednesday, but I'm having trouble believing it right now! Thanks for reading and voting!!! Have a great weekend!